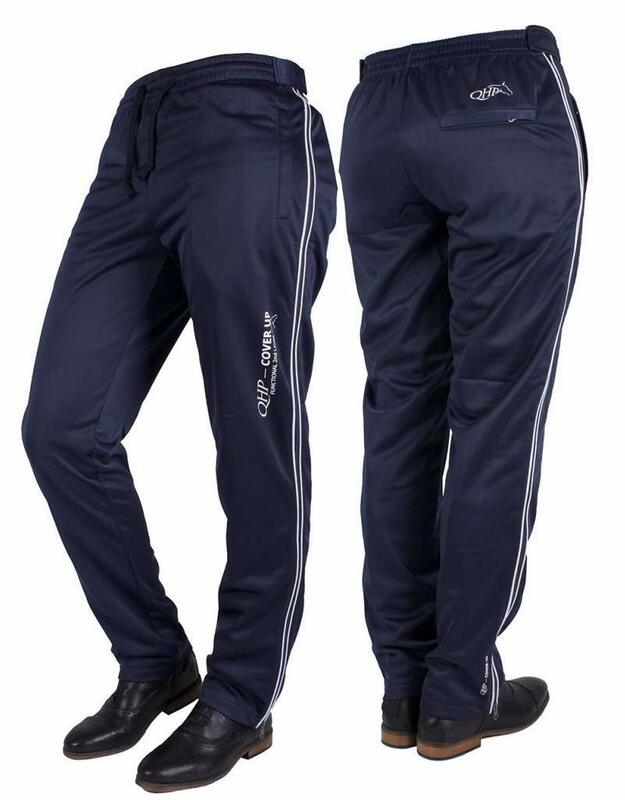 These pants are perfect to wear over your white competition pants to keep them clean. 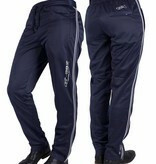 The pants can be quickly pulled out by the side zipper, even when riding boots are worn. 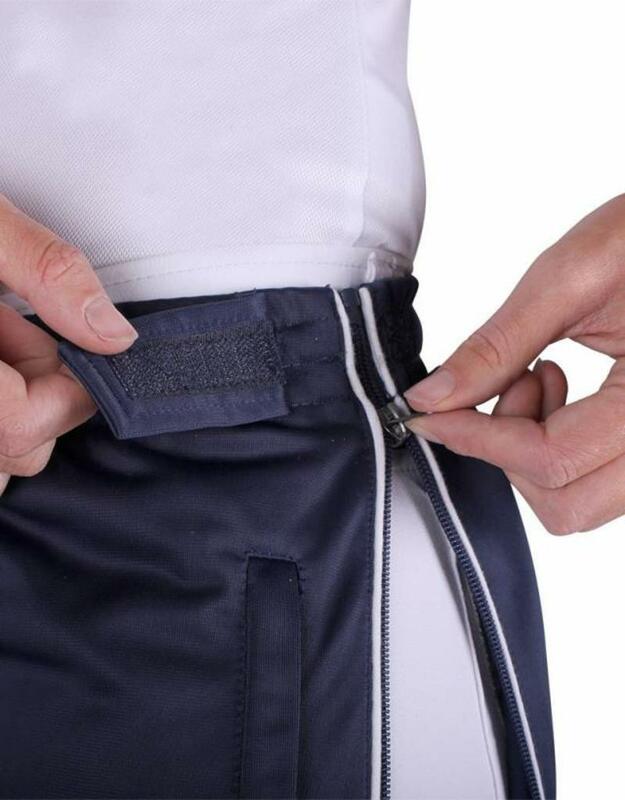 Equipped with two zip pockets at the front. Decorated with white piping and some white text prints.